If your auction checkout has long lines, overwhelms volunteers and irritates donors, this training will fix those problems. ​​​​​​​After you take this course, you’ll know what to do at each step of the registration and auction checkout process. Even if your group doesn’t use software, you’ll master checkout! Using photos from actual auctions, I’ll show you the complete process, starting from a few weeks before the auction to close-out a few days after. Understanding common reasons checkout fails. Get clear on concepts that give you flexibility in running checkout. When is the right time to add more technology? Selecting the best registration set-up (open versus alphabetized) for your chosen venue. Choosing the best delivery method (secure or unsecure) based on your needs. This in-depth training covers all aspects of registration & auction checkout AND includes rich bonuses. Part 1 webinar is 60 minutes. Best practices when it comes to assigning numbers to donations, packages, people, tables, and more. Two options for setting up registration, and when to use which. Part 2 webinar is 75 minutes. 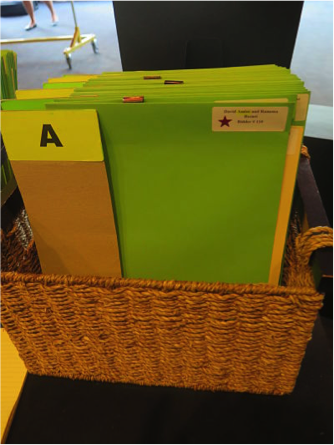 Video: How to create, complete, and use a silent auction bid board. Video: How to quickly create high performing silent auction bid sheets in Excel. ​​​​​​​Video: How to print your own bid paddles. 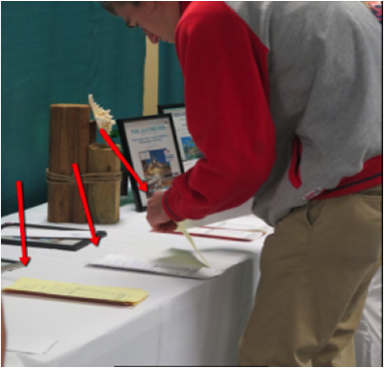 Video shot onsite: Example of event running a paddle raise using pledge cards. This course is best for beginners or near beginners. You have never run an auction or have limited experience. You are confident in your registration and auction checkout process. You have hired an outside company to manage your registration and checkout. Q: We use auction checkout software. Do we need this course? A: If you’re happy with your checkout process, you don’t need this course. 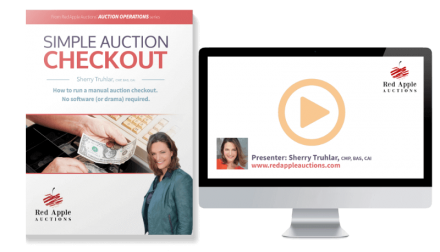 But if you know how to use your auction checkout software and still have problems (many do), this course is perfect for you! Many vendors do a great job of teaching you about their software, but they don’t get into the nitty gritty of explaining the “why” and “how” of setting up in the auction. But it wasn’t until I participated in a photography course that I learned about proper lighting for photographs. That’s when I bought a light kit and stopped using flash all the time. Q: We’re buying auction checkout software. Should we take this course? A: Probably — but ESPECIALLY if you are new to checkout. About 1/3 of the people who have taken this class during past offerings already owned auction checkout software. They seek workarounds and tips not offered by the software vendor. The Simple Auction Checkout course was an absolute life saver for our auction gala. Our auction check out went from a disaster to flawless when we implemented Sherry’s process that she provides in this material. Very short lines, happy guests, and smiling volunteers – I couldn’t have asked for more! Sherry, I wanted to let you know how much I enjoyed your “Simple Auction Checkout” webinar. Our school has been using auction software for auction management for years and I wasn’t sure what I would take away from the class. Sherry, with our 2015 gala now in the books, your suggestions and insights in your Simple Auction Checkout DVD and book have allowed us to continue to increase the monies raised and have the smoothest checkin/checkout process in town! Thank you!